As Nick Jenkins travels from the war zones of Afghanistan to his comrade’s hometown, the kinds of wounds he carries with him have little to do with the shrapnel damage to his arm. Burdened with the guilt of failing to save his friend Spence, Nick is nonetheless determined to find a home for the dog that had been Spence’s constant companion. 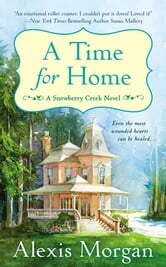 Callie Redding, Spence’s childhood best friend, was shocked to learn he left her his old Victorian home. She’s even more surprised when one of his war buddies shows up with a dog at his side—and a heavy weight on his shoulders. 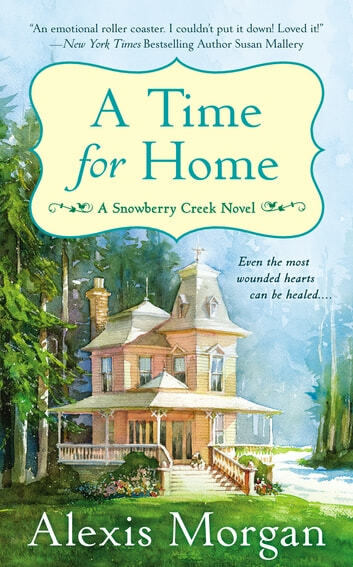 As a tribute to their friend’s life, Nick agrees to help Callie turn her inheritance into a welcoming bed-and-breakfast for the town of Snowberry Creek. I enjoy stories that have the hometown background where everybody knows your name. It was a nice romance buildup between Nick and Callie and you can never go wrong with adding a pet to the mix. Have a box of tissues nearby because this is a wonderful story about friendship, loss, responsibility and second chances. If you get a chance, try to read the prequel novella. It introduces the three characters that set up this series. You lose nothing in the storyline if you don't read it but you gain a wealth of appreciation for warriors and their camaraderie.